At a recent conference in Florida, University of Florida entomologist Daniel Carrillo reported some very disturbing news. 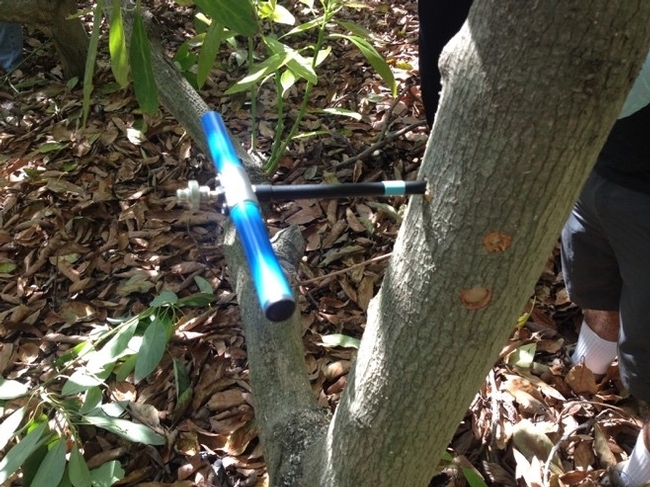 There is a fungus/pest complex in Florida avocado and related native laurel species that is similar to a complex found in the California - Shot Hole Borer/Fusarium fungus complex. 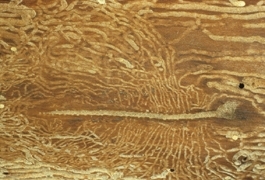 There it is called Laurel Wilt Disease and is a complex of the ambrosia beetle Xyleborus and the fungus Rafaelea lauricola. It is a fungus/insect complex that causes death in avocado and the relatives of avocado trees. 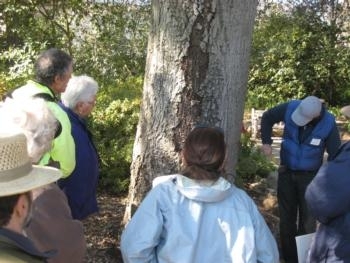 The California complex can cause the death of many tree species, such as sycamore, coast live oak and willow, as well as the decline of avocado. 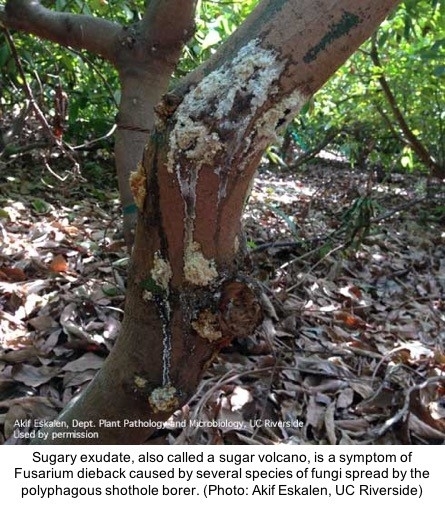 The complex and disease are called Fusarium Dieback here, caused by Euwallacea ambrosia beetle and Fusarium fungus. What Carrillo and other colleagues have found is that there are similar species to their introduced Rafaelea species of ambrosia beetle that are now attacking live avocado trees. These so-called cryptic species are members of a group of beetles that normally do not attack live trees. These beetles are typically some of the first group of decomposers that go after dead trees. These newly identified insects are morphologically very similar to the original beetle, but are native members of the Florida environment. They too are now attacking live trees. 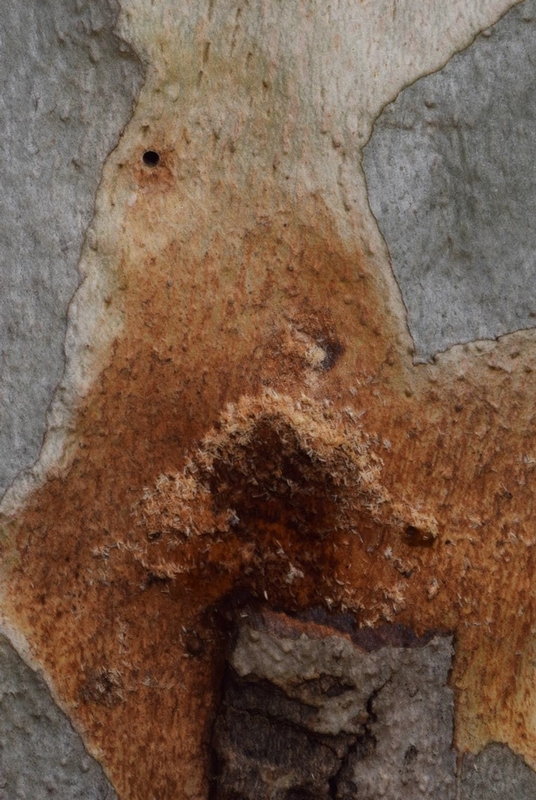 There are now ten potential species of ambrosia beetle that can introduce pathogenic fungi. To exacerbate the situation, there are other fungi now that have been associated with these beetles that may be similarly as pathogenic as the original fungus. These fungi are genetically distinct from the species causing damage in California. 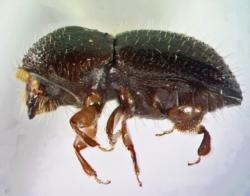 However, this ability of different fungi to adapt to a new invasive beetle species and the ability of other beetle species to pick up the pathogenic fungal species is a scenario that might appear in California. As the world becomes smaller and more living materials are moved around and they mix, this may be the new reality we are facing.